LA’s small lot ordinance was created to add density to residential neighborhoods and to expand home ownership. It's had a big impact, but a mixed one. And is Santa Monica about to kill e-scooters, or turn them into good citizens? Hear from the city’s mobility manager about choosing a roadworthy partner. 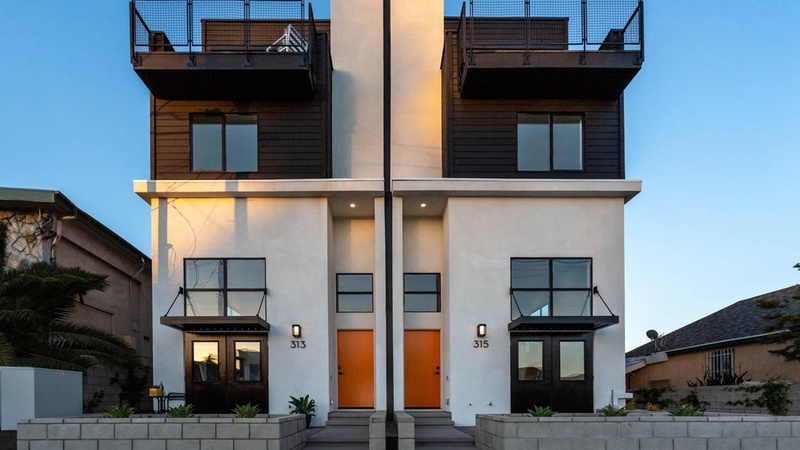 Ave 57 Art Walk Homes, a small-lot subdivision in Highland Park designed by Modative. Photo by Christine Bullard, courtesy of the Courtney+ Kurt Team @ Compass.